This week finds teams and drivers heading to Autodromo Nazionale di Monza for the FORMULA 1 GRAN PREMIO SANTANDER D'ITALIA 2012, usually called the Italian Grand Prix. 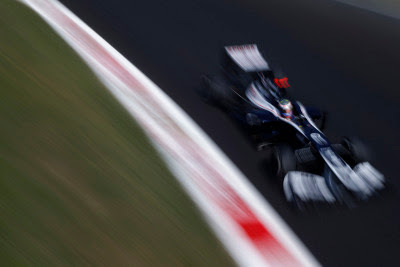 to host the 13th round of the 2012 FIA Formula One World Championship and the last European race of the season. Following last week’s calamitous crash on Lap 1, Turn 1 at the Belgian Grand Prix when four cars were taken out (including two of the leading challengers for the Driver's Championship) and at least two more cars were severely damaged, this will be an emotionally charged race for drivers and fans alike. The tightening of the Driver's Championship, a huge Ferrari fan base, and penalties that were meted out this past week will further the electrify the atmosphere surrounding what is the fastest race in Formula One today. Monza is an ultra-fast circuit with long straightaways and fast corners that make one appreciate the speed these cars are capable of. One of the more spectacular runs is that from Curves de Lesmo through the Ascari chicane and around Curva Parabolica. Expect to see speeds of up to 211 mph on a track that should be sunny and around 84 degrees. That translates to tires that could possibly reach up to 266 degrees once the race is underway and sufficiently at optimum speed. That said, there will be three things to look for coming into this weeks race: tires, strategy and which drivers can shake off what happened in Belgium and solely focus on the task at hand. In order to accommodate the speed and heat, Pirelli has chosen to use the two hardest compound tires just as they did at Spa. Look for the Silver hard and White medium tires to be used for this circuit. Tire management is a must and this is where strategy comes in. I am expecting a two-stop race strategy for most if sunny weather holds. Nursing those tires and pitting only for the required tire change and one other stop for replacing overheating, brake-damaged and heavily worn rubber will be key. Finally, the accident at Spa was scary. It was dangerous and could have been avoided. Romain Grosjean crossed the track at the start and made contact with Lewis Hamilton who had no place to go. A chain reaction ensued as cars were pushed into traffic that was slowing for the first hairpin turn causing four retirements (including two Drivers Champion contenders) and several other cars were badly damaged. There have also been close incidents involving Pastor Maldonado, not only during Spa but in Valencia. He is an aggressive driver that is quickly earning the reputation as a "crasher" by some. Grosjean has been involved in six Lap-1 incidents and one Lap-2 incidents so far this year. Admittedly, not all were his fault but there is more than one loose cannon on the circuits this year. Most young F1 drivers are eager and aggressive- just remember Vettel when he made his debut and now he is a World Champion. While Grosjean's penalties were justified, the stewards have been uneven at best in meting out penalties both from last year to this year and from the beginning of this year to date. The last time a driver was given a suspension was Michael Schumacher in 1994 and and that was for ignoring the black flag which is an indicator to the driver to return to the pits- usually due to a disqualification. There seems to be no consistency by the stewards as they hand out penalties to the drivers. Be tough or not, but be fair and be consistent. That being said, I've watched these drivers for years. I have heard them praise and criticize one another. Regardless of how many apologies were made on Twitter and to whom they were made, I know that most of these drivers are professional and will put the incident behind them and focus solely on the race. I also know some will not. Like any other racing series, there are friends and foes and it usually shows on the racetrack at some point or another. My point is, the winners of this race will be the ones who leave Belgium in their rearview mirrors and look firmly ahead. Romain Grosjean has been issued a one-race ban and a fine of 50,000 Euro for "causing a collision.” Lotus’ Jérôme d’Ambrosio will be replacing the suspended Grosjean on the grid. Pastor Maldonado made a jump-start for which he will be penalised five places. 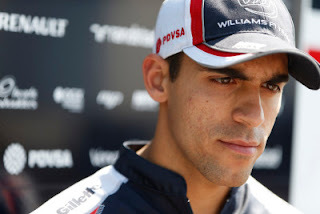 In addition, he was involved in a collision with Timo Glock resulting in the Glock being unable to finish the race, Maldonado was found at fault and given another five-place penalty in addition to the one already levied. He will start with a total of a 10-place penalty, meaning he’ll start 10 spots behind wherever he qualifies. Caterham was fined 10,000 Euro for an unsafe release from the pits on Heikki Kovalainen’s car. Changes to the Monza circuit since 2011 include: the wall on the driver’s right approaching Turn One has been moved closer to the track, an additional marshal post provided just prior to Turn One, and the exit of the Ascari chicane has been resurfaced to a point after the exit of Parabolica. Also, the pit wall fence has been renewed. The race is only 53 laps on the 3.60 mile circuit. That’s just 190.59 miles for the entire event. It’s going to be a quick race! Ferrari's Fernando Alonso goes to the Italian Grand Prix as the points leader although that lead was cut in half last week. Sebastian Vettel is close behind. In fact, it’s impossible to even guess who will be the next World Champion. With 101 points available each race, (25 for first, 18 for second, 15 for third , and 12, 10, 8, 6 4, 2, 1 for fourth through 10th,) the Drivers Championship is still very much up for grabs with seven more races to follow Monza. Join me in watching the Italian Grand Prix on Sunday, September 9th to see what should be Formula One racing at its fastest and hopefully at its finest.